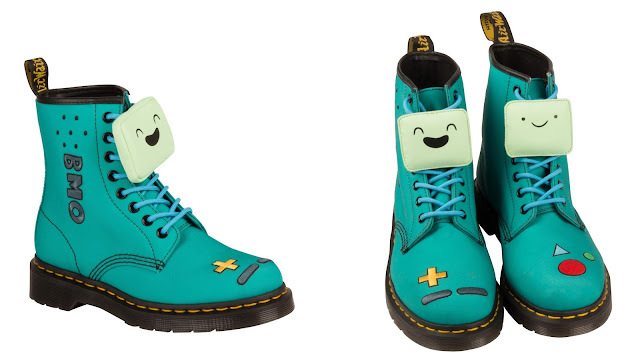 Following the success of the past two collaborations; Dr. Martens has once more teamed up with Cartoon Network to produce an exciting NEW three-boot collection for both adults and children based on the animated series Adventure Time! Adventure Time, one of Cartoon Network’s most popular original shows is a funny modern fable that follows the adventures and sometimes misadventures of Finn the human and his shape-shifting best bro Jake the dog in the mythical Land of Ooo. Fighting monsters, making friends, and falling in love; this show has it all and is beloved by Adults and children. What I love about these boots is how I felt about the DC collection with Converse sneakers, I just love them. These definitely give more fun and stylish ways to show your love for the characters from the show. They still have past collections featuring Jake and Finn, but this new collection is definitely worth adding as well. 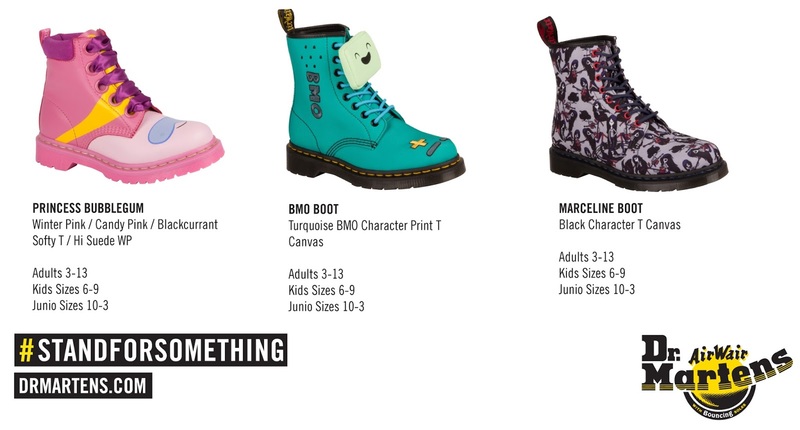 The new collection for Spring/Summer 2016 sees the introduction of two new much-loved characters BMO and Princess Bubblegum, as well as a new boot for series favourite Marceline. Each boot definitely captures the essence of each character making each boot very unique. A great way to show off your fandom and love for some great characters. The Princess Bubblegum boot features wide pink eyelets with pink ribbon laces, white contrast welt stitching and a different face for each toe, capturing her sense of fun. BMO, the living video game system, camera and movie player, makes up a teal canvas boot complete with embroidered games console details on the toe and lace keeper. 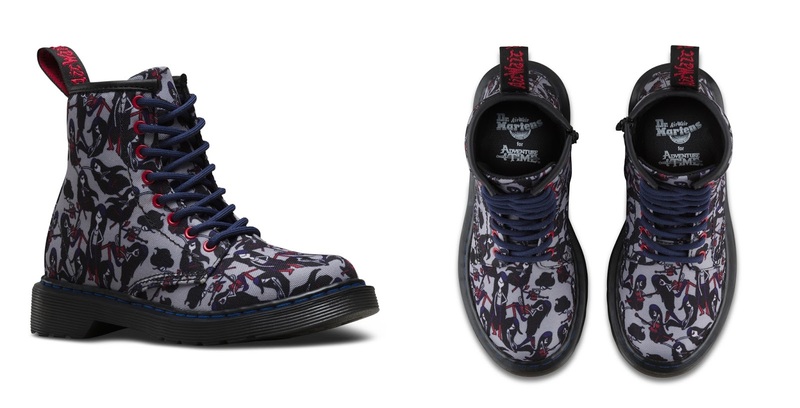 The all new canvas boot based around Marceline, the centuries-old guitar-playing gothic rocker, features an all over print of her character complete with purple stitch and blood red eyelets. Available in Dr. Martens stores, selected partners globally, and online as of March 1st 2016. So get them while they last.